There are 30 seconds left in class, and a rush of adrenaline overtakes my entire body. I forget my problems, responsibilities, and insecurities. I focus on me. You have no limits—I repeat this to myself every time. I see my name jumping on the Torqboard (a competitive meter that tracks who has the highest points in the class), the music speakers are blasting, my legs are moving at lightning speed, and I'm pouring my very all into the bike. It's the final 10 seconds, and I completely zone out—letting go of any resistance from my body in hopes of reaching a new goal. Time's up. My legs gradually come to a halt. I look up at the board and see my score. Yes, it's significantly higher than what it was last time. I instantly feel fulfilled and proud of myself. That's the high I get from Flywheel. It's why I've been hooked for eight months. I found Flywheel during a really low time in my life. I was deeply stressed and battling some personal issues. By some stroke of luck, I won a raffle for a 10-class Flywheel pack at a beauty event, and after trying out my first class, I fell in love with the invigorating feeling of going hard for me—something I didn't do very often. When you really think about it, most of our days are spent tending to tasks and professional responsibilities that are bigger than ourselves. How often do we carve out time dedicated to the betterment of ourselves? Cycling offers me 60 minutes to give to my damn self, and I take that time very seriously. Since cycling at Flywheel, I've lost over 20 pounds, and my body has never looked or felt better. But finding a chosen form of exercise is not what brings me joy. Riding has a become a mental and emotional release for me. After a class, I feel lighter. I ride it all out of me, everything that was weighing me down: all of the stressors and negative thoughts. They escape, and I feel my frequency go up. I feel happier and more in control of my life. You probably get the picture that I'm an avid Flywheeler, and you're right. You can find me here at least once (sometimes twice) a week. It's not for everyone, though. Some people aren't fans of Flywheel because the Torqboard makes things too intense. The energy of the class is extremely competitive. The instructor is directing you to chase different speeds and resistance levels throughout class, and if you can't keep up or you never see your name on the board, it can get discouraging. I'm a competitive person by nature, so chasing the numbers and beating out other riders in the class pushes me even harder. The first question I always get when I disclose my undying love for Flywheel is Have you tried SoulCycle? It's fair to say that Flywheel and SoulCycle are the two most talked-about cycling classes in NYC. You either prefer one or the other—there's no middle ground. So, after hearing about SoulCycle so much, I finally decided to put others' assumptions about the differences aside and try it out myself. I would be lying if I said I walked into SoulCycle unbiased. I definitely had preconceived judgments of the class and was eager to see how it'd turn out. A few minutes into the session, I broke a good sweat. I thought to myself, This isn't as easy as everyone says it is. To give you a bit of context, most cyclers who've tried both classes admit Flywheel is harder and more competitive. In SoulCycle, there are no numbers at all; it's a rhythm-based ride. There was so much movement in my class. We moved up and down and around our bikes a lot. I loved the choreography aspect. My instructor was really motivating, and the energy was overwhelmingly positive. Not to be too indecisive about it, but my final analysis is this: One class isn't better than the other. Flywheel and SoulCycle are two very different vibes. Flywheel is more competitive and number-driven. In SoulCycle, your limits are up to you, as in you're tasked with holding yourself accountable because there are no numbers to chase. They're both kickass workouts and a good time. I'm also going to break the made-up rule that you can't enjoy both classes. Flywheel will forever be my first love, but I'm down to try a few more SoulCycle classes every now and then. In fact, I'd recommend you do too. 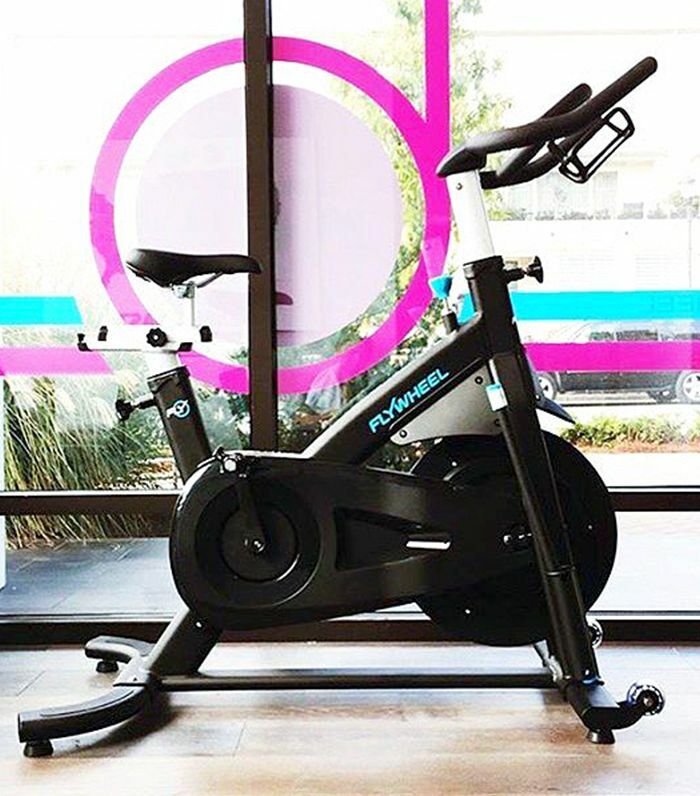 To book a local class, visit FlywheelSports.com and SoulCycle.com. Have you tried both Flywheel and SoulCycle? Tell us about your experience in the comments below.